Pulled a winning record (7-6-1) last week on ‘all picks’ in a tough/.500 week for most handicappers, but still nothing special here as I continue to lag the group and sit under .500 on all picks. I’m wrecking it on real bets at the top…but doing nothing in ‘all picks’. 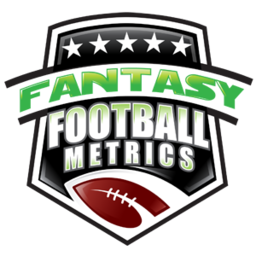 Every time I promote a top pick, since Week 3…I’m smoking hot. Green Bay was our latest big winner last week. It’s been my best year as a handicapper, in reality, as I shifted to just playing top games…and made some huge all-or-nothing bets the past 5-6-7 weeks and they’ve hit very well. I already went all-in on Arizona -4.0 this week, before the line jumped to -5.5. I’m also going fairly strong on Atlanta (if Deion Jones is active or Tyron Smith is out) and making smaller bets on BAL and maybe IND and TB…maybe. For what it’s worth, here’s my coin-flip value ‘all picks’ this week (below). I’ll post Savage’s when he makes his (posted on Blazing Five post Saturday am)…Savage is the one to follow for ‘all picks’…but for office pool deadlines you’re stuck with me to consider what I have right/wrong. The Computer is siding with eight road teams this week is an unusual twist from prior weeks. Our top games are home favorites, but the rest of the dance card is road teams a mix of dogs/not. *14-8-1 YTD when all five Handicappers unanimously agree on an ATS pick. I’m guessing Arizona will be one of the teams we agree upon this week. The Computer has loved this since Tuesday, I’m not sure why it is so confident. I think the momentum of Dallas from one week to the next and it sees Atlanta starting to gain momentum in the internals. Add to that two key Dallas OLs are iffy in health – take 3-2 at home ATL, who should be 5-0 at home this year. Add to that ATL is crushing it in 3rd-down percentage and producing indoor offense, while Dallas misses it’s heart and soul…Sean Lee. The public wants to punish ATL for losing at CLE last week…because the public doesn’t realize how good CLE is without Hue right now. I love all the momentum and sentiment anti-public (now in love with Dallas after their SNF win) play here. The public momentum/love for Tennessee now is enough to bet against them this week, and Indy has been low-key playing great and is at home getting healthy. The Titans/Mariota usually do not keep playing well week-after-week. They usually follow a spark with a disaster. I think, after our Tuesday night Video Q&A show, discussing this game…FFM Nation went crazy and bid this up to Arizona -5.5 from -4.0. I sold everything I owned and bet it on Arizona -4.0, so there’s that. The line jump and Budda Baker being out (likely) has cooled my jets some, but this is still awesome…feels too good to be true. The Computer believes the Bengals are one of the worst teams in the NFL…worst team with a winning record for sure. Lamar Jackson will be a wild card that Cincy will not handle well. If this is RG3, then scrap all this. I’m almost sure it will be LJax. WARNING…The Computer keeps seeing hope in TB every week and every week it is wrong, but now it’s doubling down on TB in a big road upset here. Personally, I don’t believe it…but what do I know. Apparently, not much in picking ATS this year. The Computer hates the Chargers…thinks they are skating by on a favorable schedule. Weak internals here. Enough hate to see Denver covering or getting an outright upset. The Computer was wild about this game on a neutral field. Cooled some with the move to L.A. The Chiefs have as good an offense, but the key is – the emerging KC defense vs. the Rams hole-filled defense. I would never bet this strong because this the Super Bowl preview 1.0. Enjoy the watch not the bet. The Steelers are the better team, plus I think PIT may try to humiliate the Jags for humiliating them twice last season. Kicking them while they’re down. Too many injuries mounting for DET…and they’re terrible…and they are rolling over on their coach. The Saints missing their best OL (Armstead) and Philly in a do-or-die spot…I think Philly keeps it close to cover, so does The Computer. I won’t touch this game with real money. Both good-not-great teams. Both desperate. Both have great QBs. I’m just going to sit back and watch the show. With all of Washington’s injuries…how is this not the Texans? Better to watch than bet on.